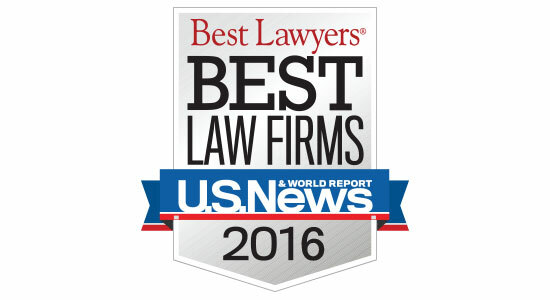 Gibbs & Bruns LLP was prominently featured on U.S. News & World Report and Best Lawyers the fifth annual “Best Law Firms” list. The 2016 rankings include Gibbs & Bruns with both national and metropolitan recognition. Gibbs & Bruns is nationally ranked in Tier 2 for Commercial Litigation and Litigation–Construction; and in Tier 3 for Litigation-Antitrust and Litigation-Securities. Rankings can be reviewed here.